As you know, I'm all about the details here on TCB and today will be no different. Embroidery is a difficult and intricate detail that adds quiet beauty to a piece. It's not a bold color block, its not an oversized graphic or pattern, it's quiet and charming. 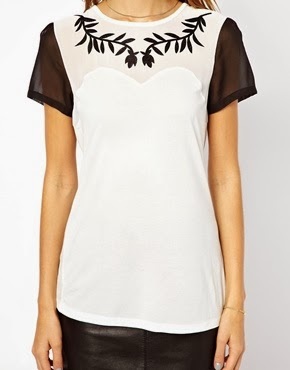 Let's look at some tops that use this detail beautifully. A great layering piece in a year round blush. 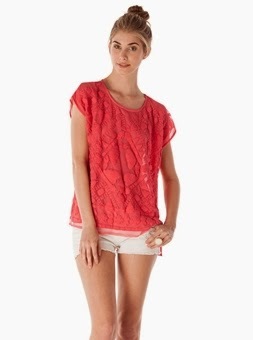 This sweet top has a sassy mesh back perfect for warmer days or throw on a navy blazer and wear it to work. 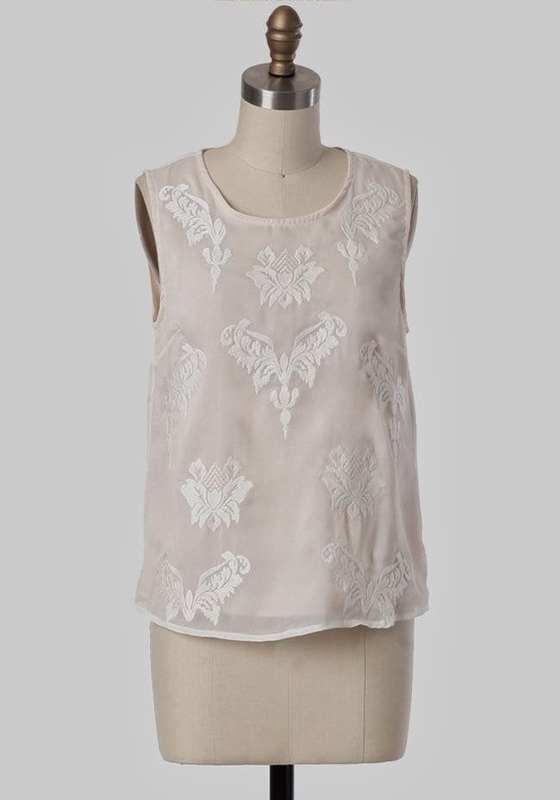 A chic gauzy top that is a delicate treasure. Such simple details making a huge impact. Strong black and white options are huge for spring and summer, this top offers a nice feminine touch to a sometimes harsh color combination. Check out the sweetheart neckline. Embroidery is sometimes a more expensive detailed piece to add to your wardrobe, but try to think of the piece's versatility in your closet. Wear it alone, wear it over a dress and belt it, or mix it in with you standard suit.